We had a good night on the trotting side. Briefly, we had the first three Pennsylvania All Stars colt-trot winners: Brew Master ($5.40), Aperfectyankee ($9.40) and Bluto ($9). In the Reynolds Stakes the night before at the Meadowlands we had Ma Cherie Hall ($3.80). 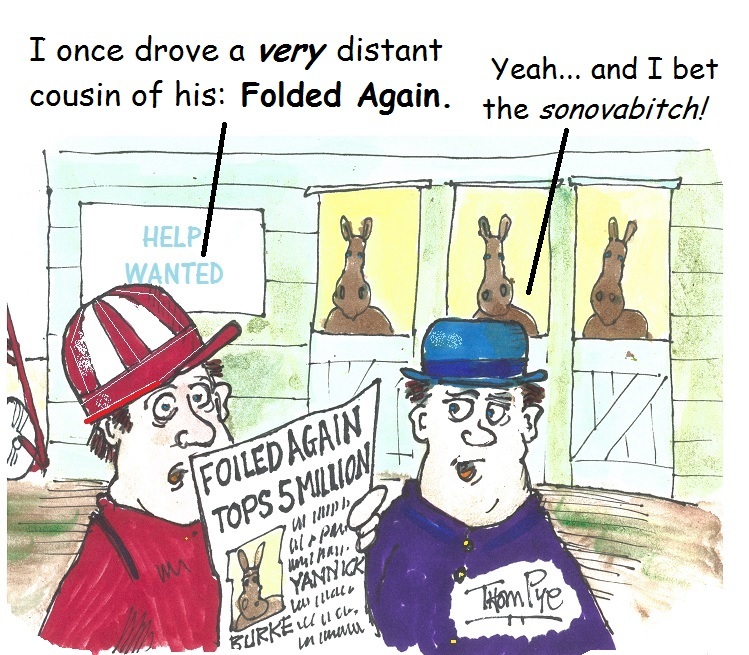 You can read those race reviews in details if you visit the Hambletonian Society’s special archive page for the Hambletonian Trail stories. At the Meadowlands on Saturday, we scored strongly in the second William Haughton elimination, nabbing Sweet Lou and a win price of $19. In the first elim for the older pacers, our choice, Heston Blue Chip, was one of the favorites but he did not fire enough to even make the final. Warrawee Needy won the elim and raised some eyebrows as he joined Holborn Hanover and Somebeachsomewhere as the fastest pacers in a race with a 1:46.4 victory. “Needy” was well backed and the “now” horse, winning as the public choice but no one in that crowded group expected the performance he presented. The four-year-old became the sport’s newest millionaire for trainer Carl Jamieson. Once again we were victims of public choices in the two-year-old sires stakes, having only one third in four races. Our choice in the Meadowlands Pace elimination, Johny Rock made the final but lost to the big favorite Sunshine Beach. Next week is the July 13 final and the return of Captaintreacherous, who did not have to appear in the elimination mile. He drew post 5. This week’s blog will cover the race extensively, as well as the final of the William Haughton and the Mistletoe Shalee. Around the ovals we will have more contenders from the horses-to-watch list (H2W). Though there were more than a few public choices in the limelight around the ovals on July 6, one giant expectation turned into a huge disappointment. 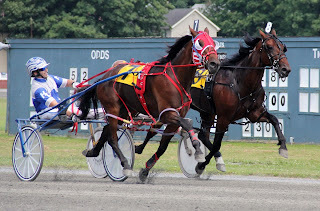 Wheeling N Dealin, the winter book favorite for the Hambletonian, made his 2013 debut in an overnight race at Mohawk and suffered his first loss in 10 starts. He did not even make it onto the board, finishing fourth. Wheeling N Dealin was first-over with three-eighths of the mile to go and picked up cover as the field went to a 1:24.1 three-quarters. Wheeling N Dealin didn’t gain any ground, though, and the mile was won by Midfield Magic in 1:53.2. Murmur Hanover was second and Dancehall Mistress was third. Wheeling N Dealin finished fourth for trainer Dustin Jones. Jimmy Takter continues to send impressive trotting freshmen to the post. 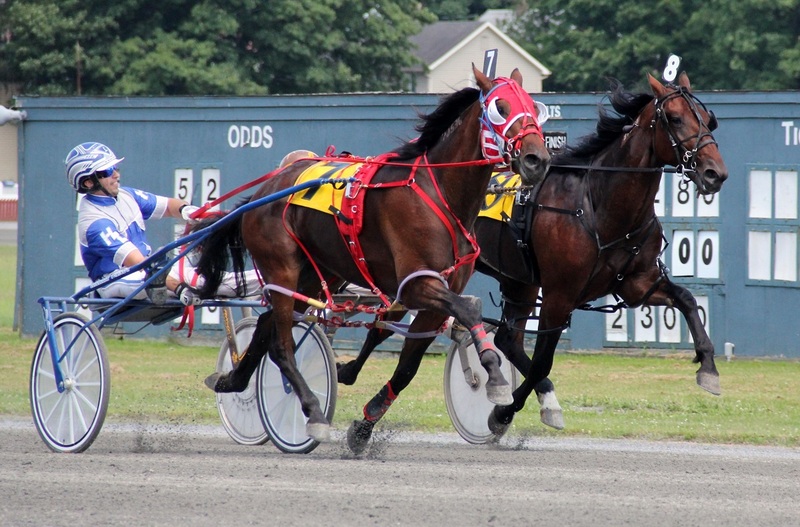 On July 6 at the Meadowlands qualifiers, he revealed two fillies worth following. Red Hot Spicy and Scream And Shout won with miles around 2:00. Also of note on the trotting side was foreign-bred Danielle S winning in 1:58.1 for trainer Jim Oscarsson. 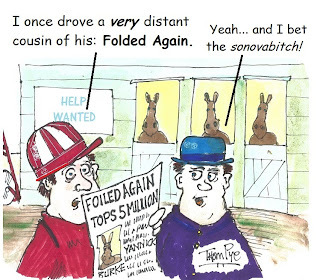 A big-dollar yearling, $250,000 Yankee Glide colt Shift Into Glide, was a winner at first. Noel Daley trains. The $100,000 Donato Hanover colt Fashion Tagman won in 1:57.2 for Jim Campbell.